Oh, Joanne. My Canadian roommate from college that I got into way too much trouble with. 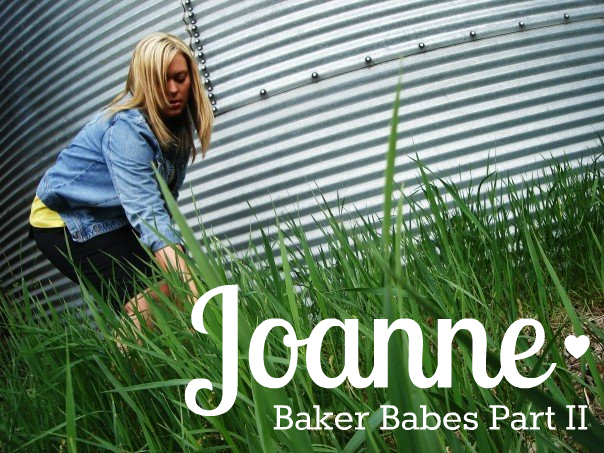 The above picture is from a visit a few years ago when we took advantage of the gorgeous landscape Idaho has to offer:) Joanne now lives in Idaho with her husband Jordan and puppies Roxy and Hurley. They have started their own baking business (neither of us baked in college, so I find this humorous now) and is about to share her favorite Mexican Chocolate Cake recipe. I adore her so. Occupation: I actually work full time as the New Business and Office Manager at a financial advising office here in Blackfoot, Idaho. But on the nights and weekends, I work along side my husband Jordan, my brother-in-law Tyson and my mother-in-law Jan running a bakery called “The Wave Break Bake Shop”; we make treats (cookies, brownies, bars, etc.) that are sold at service stations throughout the Snake River Valley. We have also started “TWB Catering” for weddings and special events. Dream occupation: That’s a tough question cause I always have lots of dreams going on in my head! But Jordan and I have always talked of owning a bakery together. 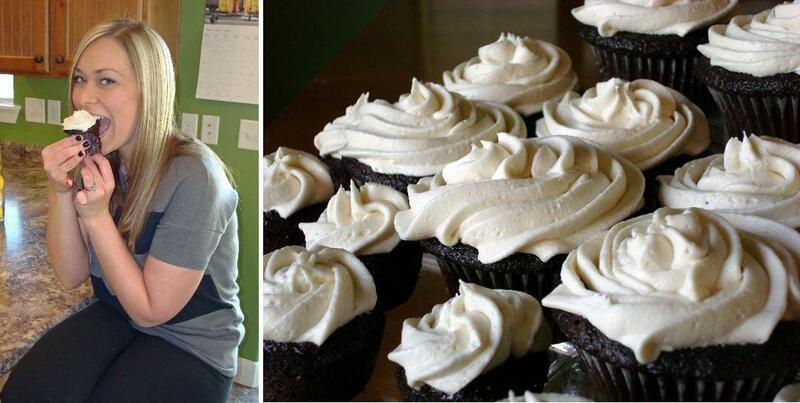 Spending all day with my husband while making yummy treats sounds like a pretty dreamy job to me! Age: I’ve been told I’m 27, sometimes I get so busy I honestly can’t remember details like that. My brain gets too full of other things... haha! Howd’ja get started baking? I definitely married into it. Jordan, along with his Mom and brother have always had a passion for making delicious things. I think the combination of the four of us works really well for our business; we each have different likes and dislikes so when we bake for each of our personal preferences we create things that appeal to a wide range of customers. When you picture “a baker” what do you see? A cute, chubby old man with a moustache and one of the big white bakers hats on. Oh and he is holding a bowl with a wooden spoon in it. What qualities or skills does it take to be a baker? Hard work, hard work and hard work. Haha! Some persistence helps too. And you have to be willing to try new things and not get too upset if they don’t work out the way you wanted them too. Oh and a sense of humor. And a really good pair of shoes. What was the biggest baking FAIL you ever had? Oh my gosh, my biggest fail was horrible... Jordan’s Mom runs a pre-school and each year she does a lesson where she reads the kids the story about the Gingerbread Man and then the class makes a giant gingerbread man cookie to eat during snack time. A few years ago, I was helping Jan with this lesson and so we made the gingerbread dough and then we shaped it into a giant gingerbread man that took up a whole cookie sheet and then we had the class help decorate him. We used M&M’s for the eyes and buttons and things like that... Well, we must not have used the correct amount of flour when we were making the dough cause when the gingerbread man was cooking he starting turning into this gross, melted blob on the pan. It was terrible, he lost all his shape and the dye from the M&M’s ran and made these colored streaks everywhere - you honestly couldn’t even tell it was a gingerbread man! We dubbed him the Gingerbread Monster. I’ll never forget the looks on the kid’s faces when we pulled the Gingerbread Monster out of the oven – they were so heartbroken their gingerbread man didn’t turn out! And I was devastated because I felt so terrible disappointing all the pre-schoolers! But looking back it was pretty funny and I actually wish I had taken a picture of our Gingerbread Monster! How do you feel about Martha Stewart? Hmmmmm? It depends... She owns an award winning Chow Chow dog and I have a beautiful Chow Chow dog myself, so when it comes to dog breeds, we are kindred spirits. LOL! Her business savvy and ability to make herself a household name intrigues and impresses me.... But when it comes to her baking and crafts and all that stuff, she comes across very fake, you can tell someone else came up with it and she is just the salesman for it. Tell me something random that I don't already know: I love to listen to 80’s music. Allllllllll the time. If you had to be an ingredient in a recipe, what would you be? I would be vanilla... my favorite thing is when I get to add vanilla to a recipe, I love opening the bottle and getting the rich smell wafting throughout the bakery. Mmmmmm! I like to think I’m like vanilla and that I make everywhere I go a more pleasant place.... haha! Will you share your all time favorite recipe with us? I would love too! This is for my favorite chocolate cake, it’s so good! Bake in a preheated 350 degree oven for about 45 minutes, or until a toothpick comes out clean. It’s that easy! Frosting with your favorite buttercream or chocolate fudge frosting! I love the balsamic vinegar! Thanks Joanne.